The Second God is the seventh book set in the Brightmoon world. 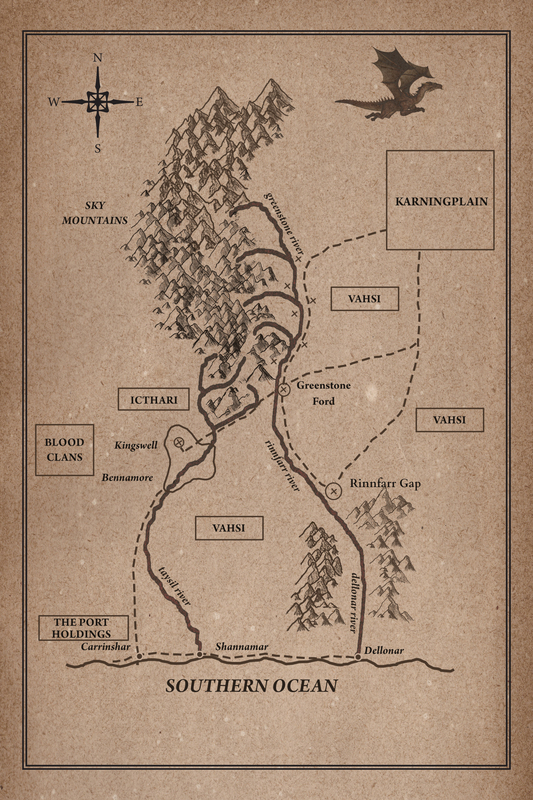 It concludes the story of Drina begun in The Fire Mages’ Daughter (read the story so far). Now, in this dramatic final book, you can find out what happened to Drina, Arran and Ly-Haam. Admire the cover in hi-res, and the map in hi-res. Rival gods at war. Mind-bonded giant beasts. A fanatical golden army. Dangerous blood magic. Drina’s juggling her twin roles as heir to the Bennamore ruler and wife of a living god. Now the tenuous peace with the fearsome Blood Clans is put to the test as her prisoner-husband, Ly-haam, is challenged by the emergence of a second god, and Drina’s lover, Arran, makes a costly mistake. Meanwhile, on the southern Plains of Kallanash, a new force is arising — a vast golden army, raised in ferocious discipline, and fanatical followers of another kind of god, who is determined to spread his power into an empire, and will let nothing stand in his way. To combat the threat, Drina, Arran and Ly-haam must set aside their personal differences and combine their talents in a uniquely dangerous way which will test their heroism to its limits. How much will they have to sacrifice to save their country? A sequel to The Fire Mages’ Daughter. 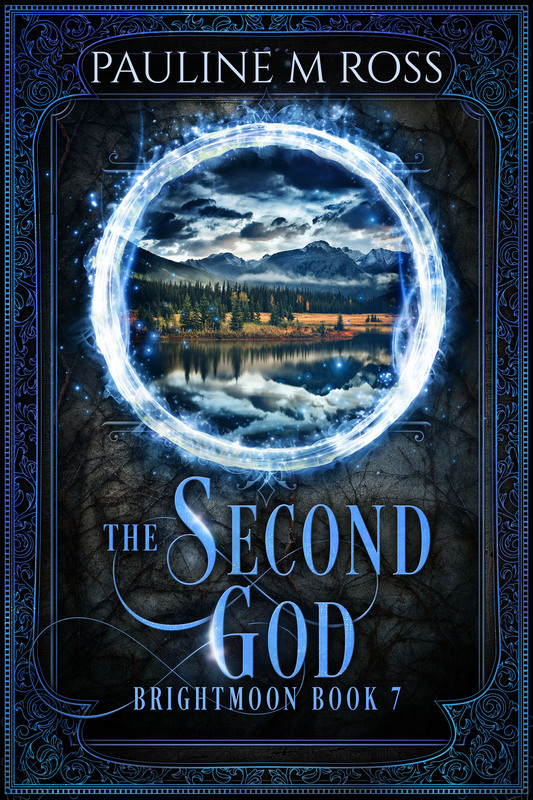 The Second God is written by Pauline M Ross, with a cover design by Deranged Doctor Designs and proofreading by Coinlea Services.